When I come home and the house is empty, no kids or wife in sight, I like to take out my Stratocaster, pump up the volume on the amplifier and belt some rough riffs. The louder the better. 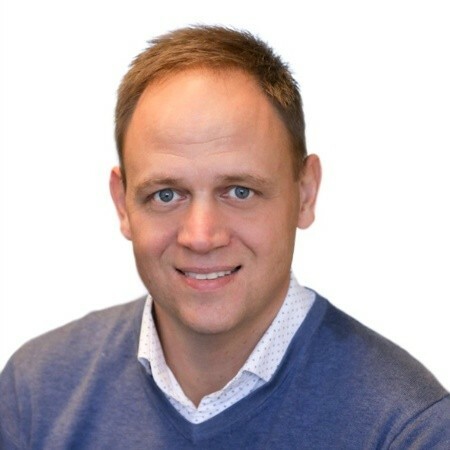 I love music and the way I listen to music has changed dramatically and I have one person to thank for that; Daniel Ek, founder of Spotify (Spotify is all the music, all the time on your smartphone, tablet or laptop). Spotify has transformed the music industry thanks to new technologies and new behavior. Mobility is transforming our everyday lives and transforming industries. Which industry is next? 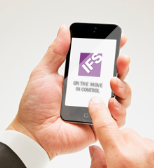 IFS wants to transform the ERP industry through mobilization. Your path to mobilization can start here. I see that mobility will drive your business forward. It is a transformative process and ERP sits at the heart of this transition. However, ERP is often made too difficult and the reason is, as with the Internet or any other huge source of information, it is too big to grasp manually. You need software that makes it faster and easier to find and analyze, and in the best of worlds, to dynamically optimize the way you utilize your resources [people, assets, spares etc.) to service your customers. So, I think we all agree that ERP software should facilitate, not frustrate. However, mobility is not critical for everyone in a company. For some roles, being mobile and accessing information in the field is business critical. Some business process efficiency is dependent on mobile reporting, for example with field service technicians and warehouse staff. Other roles might benefit from mobile tools to get more out of the working day. The lead-time to process a purchase order or to authorize a large project might take a long time, because it has to pass a number of authorization steps. And those with a busy schedule become a bottleneck that prevents the customer from receiving a great experience. Anyone saying, that they have too much to do is not an acceptable excuse in 2012. The explanation is poor processes, rather than people, and your business application can be a process facilitator. Mobility could be your differentiator. I created the below picture to explain how you can benefit from being more mobile. It illustrates three perspectives of you. 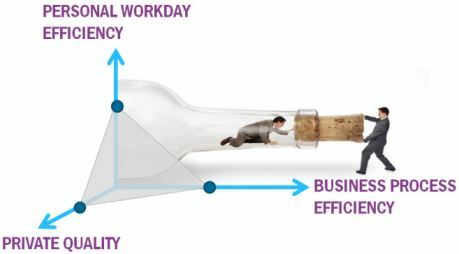 It is you and your working day, busy with all day-to-day activities called Personal Workday Efficiency. It is you as an important brick in a company process, where you fulfill your tasks on-time, to not slow down the Business Process Efficiency. And it is you as private human being seeking for quality in life striving for a good mix of time for family, friends and work, and that I called Private Quality. Let us make a simple exercise; where did you have your dots 5 years ago, where are they today – and as interesting, where will the need to be tomorrow? Remember, this has to do with two types of values; company values towards you customers, but also your employer values towards you employees. Both are important today and tomorrow to remain competitive. The way we listen to music via Music-As-A-Service companies like Spotify. The way we shop with our mobiles, or via handheld devices in-store and the way we access news and email. Social media also relies heavily on mobile use; Facebook alone has around 40% of their users accessing the network via mobile devices. We do so because it is easier. Moving a big and complex ERP system to the phone will also make life easier. So now, when playing the guitar at home, I can do it together with any artist in the world, because for a small monthly fee I get access to any music at any time. Period. If you are a user of IFS Applications, for a small subscription fee, you can start using IFS Touch Apps to access information in your business application from your phone, anywhere at any time. Period.